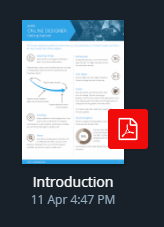 How do I download or export my docs as a PDF? If you need to produce a .pdf file for printing, email or web. It’s easy. 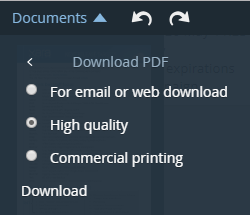 Just go to Documents > Download and then select Download PDF. Commercial printing - This includes the features required for generating PDF/X documents suitable for submitting to a print company. If you're on a tablet/ipad then after you select Download the document will open in a new browser tab. Tap the document in the new tab and you should see save options appropriate to your device. 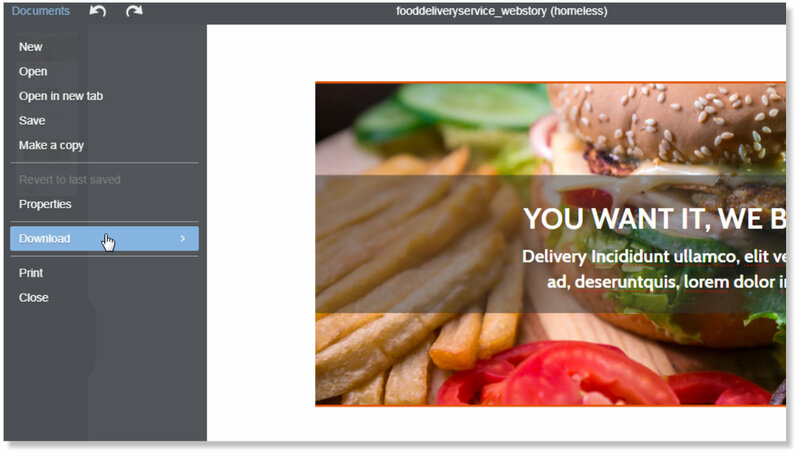 Once you’ve saved your PDF file you can actually then open it in Xara Cloud and work on it again as a PDF. Make sure that you’ve saved the document to your cloud drive - so this would typically involve dragging and dropping the file from your computer’s Downloads folder into a folder on your cloud drive. Then just open in the usual way. Have a look at this article for info on exporting documents as JPEGs, PNGs and SVGs.